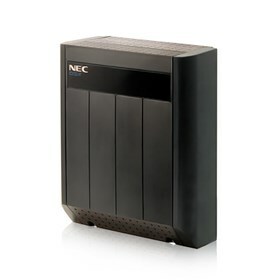 The NEC DSX-80 (1090002) is a 4-Slot KSU contains the CPU, 4 universal card slots and the system’s power supply. It provides 80 ports and is wall-mountable, has a flip off cover and removable side panel for easy access. The cabinet has a handy translucent panel in the cover that allows you to get essential system status and troubleshooting information at a glance, without removing the cover. The NEC 1090002 has many exciting features for users of all types. The NEC 1090002 is sold as a Brand New Unopened Item.